Pictured above, Isaiah Rashad, whose story you can read about in the the full article. Recently, I had the unexpected opportunity to speak with a writer from Pigeons and Planes, a website focusing on new music discovery. 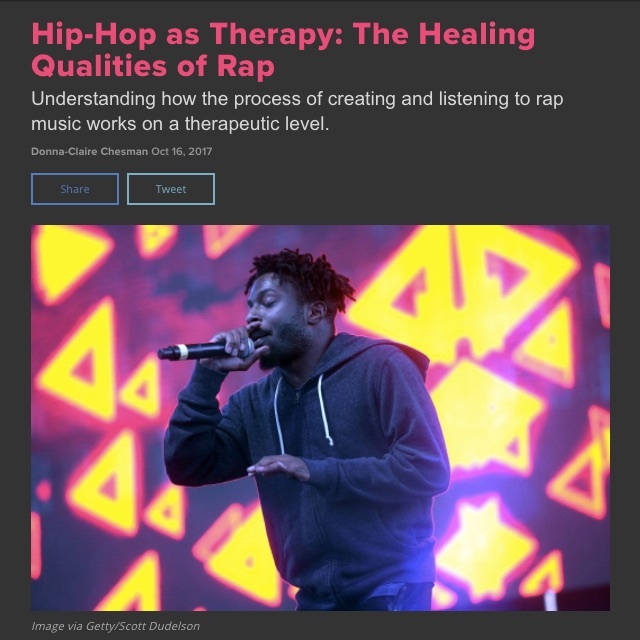 In "Hip-Hop as Therapy: The Healing Qualities of Rap", Donna-Claire Chesman ties together ideas from music therapy with the work being done by Beats Rhymes and Life, an organization that "helps youth tell their authentic stories and narratives, and look at their stories from a place of resilience as opposed to deficit." A sixteen-week process leads to the production of a group album and performance. Check out the entire article on Pigeons and Planes!